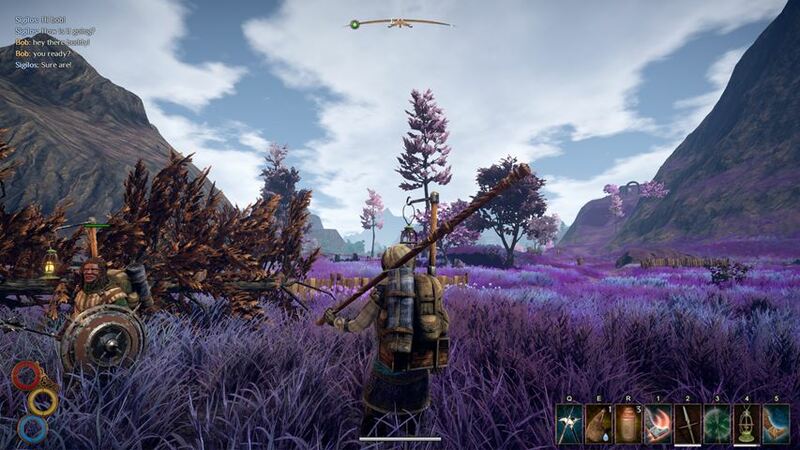 After spending some time with Nine Dots Studios action role playing game Outward, it’s easy to come to the conclusion this isn’t a game for everyone. Its dated visuals and deliberately challenging gameplay mechanics will either have you chomping at the bit, or lapping it up like a cat with the cream. 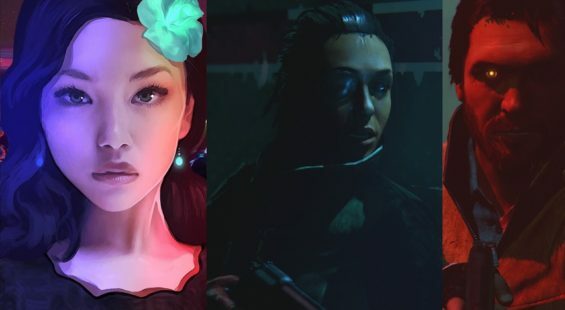 To begin, players create a male or female avatar from some limited options which allow a race, hair and face type. I typically selected a token female as you do. Once chosen, I entered the fray with very limited resources as the intro sequence introduces the basic features. A separate and rather expansive tutorial is available from the main menu. I would suggest it’s advisable to start there, no seriously start the tutorial in this game. Unlike other action role playing experiences, Outward places you into a basic role, not the saviour of mankind and just a regular Joe Bloggs character or in my case Jane Doe with a debt to pay off. Pretty early on you’re free to head out into the open lands beyond the city gates. It’s here where I learnt pretty fast the strengths and weaknesses of my Jane, mostly weaknesses at this juncture. Jane needed feeding, watering and all sorts of survival elements to live out her existence here. Outward presents a very different set of rules, so no farming of lowly nearby creatures to level-up. No, to become better suited, players need coin to purchase skills from trainers, or better gear except I had very little. Leaving things to chance as in finding improved loot or even crafting it is a massive gamble although an option all the same. Early on, death presents its own set of challenges. For starters, a backpack system means you can’t carry too many items before becoming encumbered. A heavy pack also affects your ability to dodge and move in combat. A gameplay quirk of dropping the backpack anywhere and picking it back up once the fight is over presents itself. Yet, upon death it might not materialize next to you. In Outward, usually someone will rescue your sorry hide and place you on the map… somewhere – if you’re lucky inside one of the safe haven cities. Mostly it’s out in the field , or worse if captured by bandits they confiscate your gear. If you manage to escape without further capture, the idea is to steal your gear back. Go figure. It’s a bit of a process but highlights one of the game’s many tough factors which sets it apart from its rivals. I was mostly successful at getting my stuff back so not too frustrating and a good reason to avoid the KO . Due to the rather unwieldy combat, it’s not easy to determine how good you are. A defensive approach seemed like the best way forwards for me. Except that didn’t always pan out well in my favour. I was knocked over despite plentiful stamina and health remaining , then captured again. It grates after the umpteenth time it occurs. This in itself creates a playful caution and because a lot of the open landscape is devoid of anything means I was choosing my battles very, very carefully. Outward poses deliberate problems for the sake of it which gives the game an old school flavour. You look at the map and visual cues in the wilds to navigate, but no markers or quest pointers exist here. You’re on your own resulting in losing one’s way or going off-course ever so slightly. Should you die and respawn, you then need to work out where you are again to proceed. It’s all a bit of a pain in the arse to be honest but obviously, some people will relish such a nod to the old-school. Unfortunately I’m on the fence on this one. Eventually though, you might “get gud” complete some quests, join a faction and procure better gear allowing you to kick some tail against multiple foes at once. That is until the game kicks you into touch just to remind you who is boss. Outward is fun and frustrating in equal measure by my experiences. Visually, Outward presents some very dark nights and interesting locations but a lot of open space exists here. It takes time to move from A to B making the world feel somewhat bigger than it is. Some pleasant sunsets or sunrises showcase good attention to details. 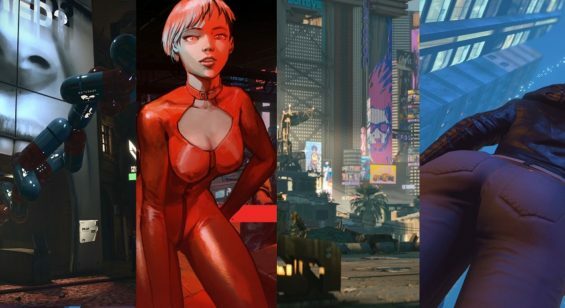 From the design of the characters to the assets used, it’s dated looking by today’s standards though. You can ignore all that and become gripped by the gameplay quirks like I did. Audio is rather pleasant with some wonderful pieces to accompany my Jane character on her adventures. A bit of voice acting also reveals itself on occasion offering some personality to the main characters. Aside from the looped music though, audio is functional overall. 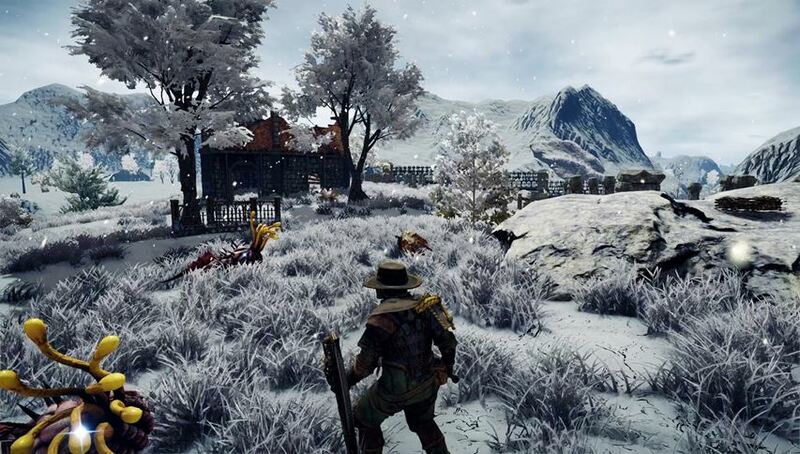 Outward boasts a sprawling single-player adventure reaching well over double figures and beyond. Players can play local co-op which is a nice feature to have and online co-op for shared experiences. Again, these are really nice options to have and make quite a difference to the often lonely solo game. I remain undecided whether I enjoyed my playtime with Outward. On one side it’s an interesting throwback experience to a time long-forgotten, ignoring the Souls games of recent times that is. No clear direction, fiddly combat and the fact you can just roll up somewhere after a KO are quirks not seen in many games these days. I would say fair play for attempting to offer this aspect. For people who don’t want hand-holding and require a more methodical gaming experience then this works…kind of. This is a good game, not a great game in my view and really it is what is it. No amount of changing it will make it any better. Perhaps the developers should actually just keep it this way to appeal to its specific audience. I’m done though. So Jane can continue her adventures without my input. Good luck lass. You’re going to need it. Oh and watch out for that horny deer! Oops, too late. Andrew loves all genres of video games and has been playing them since he was 5 years old. Many years later and the passion is still there.